What a busy month of May. We began the month assisting the 25th Marine Regiment as the remains of 1st Sgt Quinn were returned home to Temple NH to be laid to rest in his hometown. 1st Sgt Quinn was killed in action at the Battle of Tarawa on Nov 20, 1943. It was an honor to pipe this hero to his final resting place. 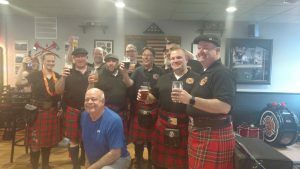 Later that same day we traveled to Leominster MA to play at the one year anniversary celebration of the opening of the Monument Tap Pub. A good time was had by all. 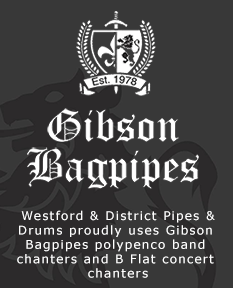 May 12th we took part in the annual Westford Apple Blossom parade. Rain showers caused us to postpone our post parade cookout however we all looked forward to making up for it in July. 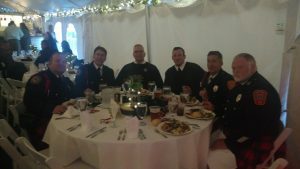 May 19th we enjoyed a night of performing, great food and camaraderie as we took part in the Milford NH Firefighter Ball at the Mile Away Restaurant in Milford NH. 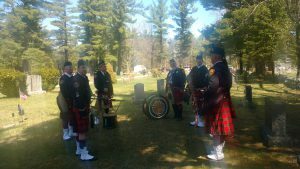 May 20th it was our honor once again to lead the Lowell Cemetery Memorial parade. 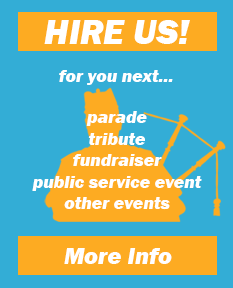 This parade and ceremony takes place entirely in the Lowell Cemetery. This year a Blackhawk helicopter was not available however the Army National Guard was able to send a Lakota helicopter in place. We did manage to get a quick pic in. 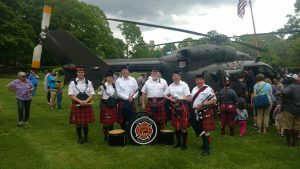 Our Memorial Day weekend would kick off with the band taking part for the 5th year now the Page Hilltop Elementary School (Ayer MA) Memorial Day ceremony. By far this is a band favorite as the entire ceremony is student run. We are honored to be asked to perform with this wonderful school. 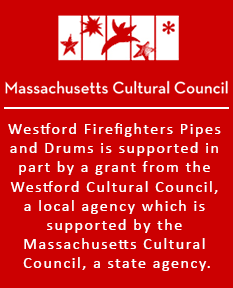 The Westford parade on the 27th was changed to an indoor ceremony due to the inclement weather. 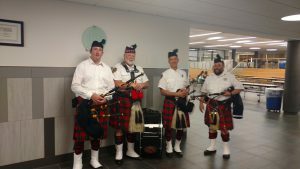 Pipe Major Rick Tustin closed the ceremony with the playing of Amazing Grace. On hand for moral support and great company was Pipe Sgt Don Parsons. Our weekend came to a close on Monday with the Winchester MA Memorial Day parade. The band led this parade to the war memorial at the Town Hall and then played Amazing Grace to honor those who have fallen. A busy month indeed. Next up are a few events in June and July. 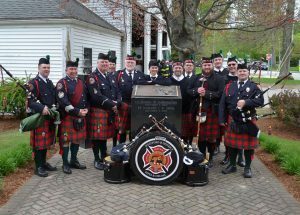 Look for us to take part in the Fitchburg FF Memorial Sunday on June 10th, Westford Flag Day June 14th, Burlington Veterans Bike Ride June 23rd, Pepperell 4th of July parade on June 30th and finally the Raymond NH 4th of July parade on July 4th. 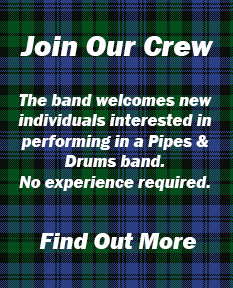 Would you like to join us and take part in similar events. Just click on Join Us banner to the right to learn how.